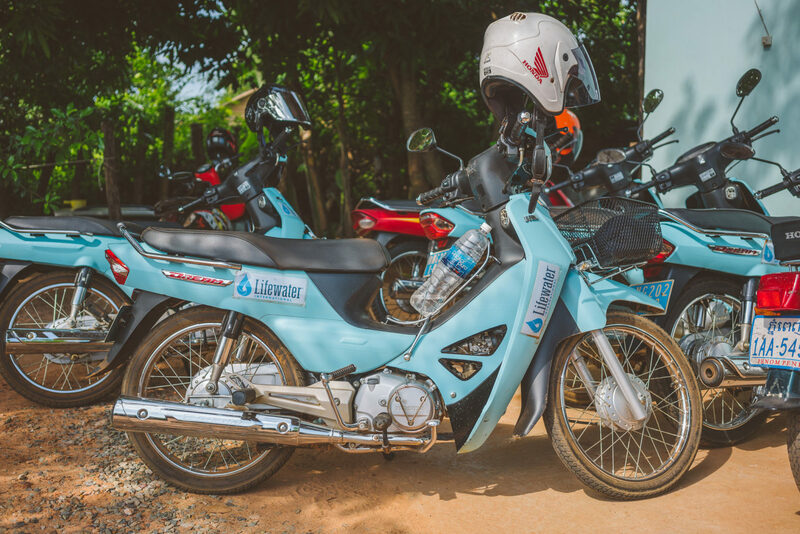 For over 40 years, making a lasting change has been foundational to the work at Lifewater. Serving others with excellence, the way we would want to be treated, is also central to the mission. Water quality testing is one of the most tangible ways we can make sure our commitment to long-term transformation and quality care is being realized in every village. Water quality testing has been part of the process of building safe water sources since Lifewater was founded more than 40 years ago. But in recent years, we have updated and improved the process to provide better, more actionable data. Give Safe, Clean Water to Rural Villages Today. In years past, Lifewater would construct or rehabilitate a water source (well, spring cap, rain water harvesting tank) then take a water sample to the country’s national laboratory to ensure the new water source was in keeping with the national standards. This process required that water samples be delivered to the laboratory within 24 hours (to ensure accuracy) which was very challenging coming from remote and rural locations. The problem: the water was tested only once, at the completion of a new water source. This meant there was no way to determine if water sources were continuing to provide safe water after initial work was completed. Today, Lifewater adheres to the World Health Organization’s (WHO) guidelines for rural water quality testing as well as national standards. To achieve these guidelines, it’s important to test regularly in remote, hard-to-reach places. In an effort to serve more people with perpetually safe water, we needed a way to test water with frequency, one which was simple enough to utilize in remote villages that don’t have access to electricity (much less laboratories), and sophisticated enough to test for harmful bacteria and pathogens. 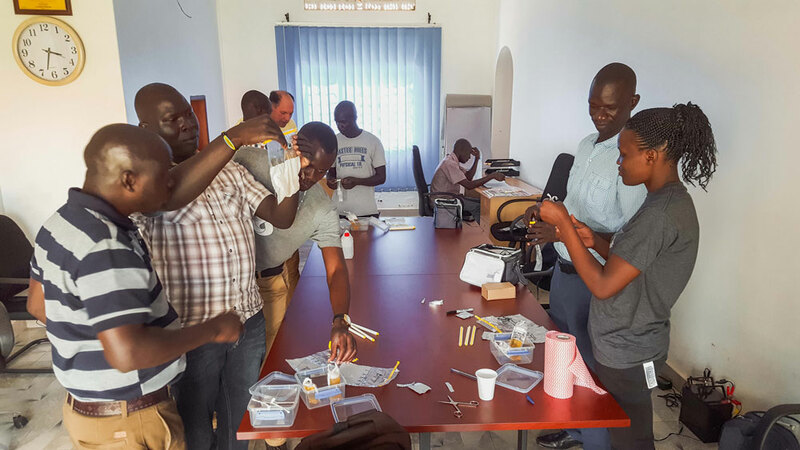 Lifewater’s Uganda team practices water quality testing in their field office. The Lifewater backpack fits over 20 items for a lightweight, portable water quality testing kit. 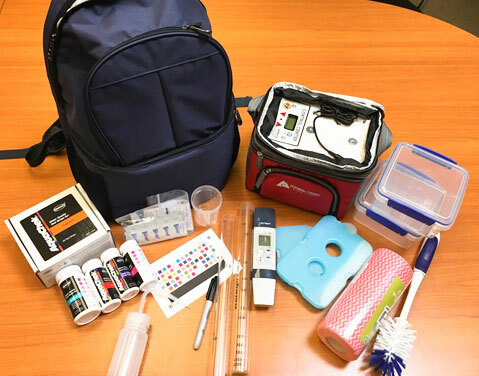 In total, there are 22 items that fit into compartments in our travel water-testing kit, each playing a part in allowing Lifewater WASH Technicians to conduct on-site testing 1-2 times per year following project completion. The lightweight, portable backpacks serve as a field-friendly form of water monitoring, as our staff are usually riding motorcycles to access rural villages. With a portable incubator, we can accurately test for harmful strains of E coli, bacteria that have been particularly difficult to identify in the past. The ability to test on-site is what WASH Engineer Jon Viducich calls the “gold standard for water quality testing.” This is because, when water samples are taken to a lab, there are endless possibilities for contamination and human error. Samples can be shaken up and get oxygen in them that alters the pH, break and spill on bumpy roads, or sit too long in a lab, which also has the potential to alter results. 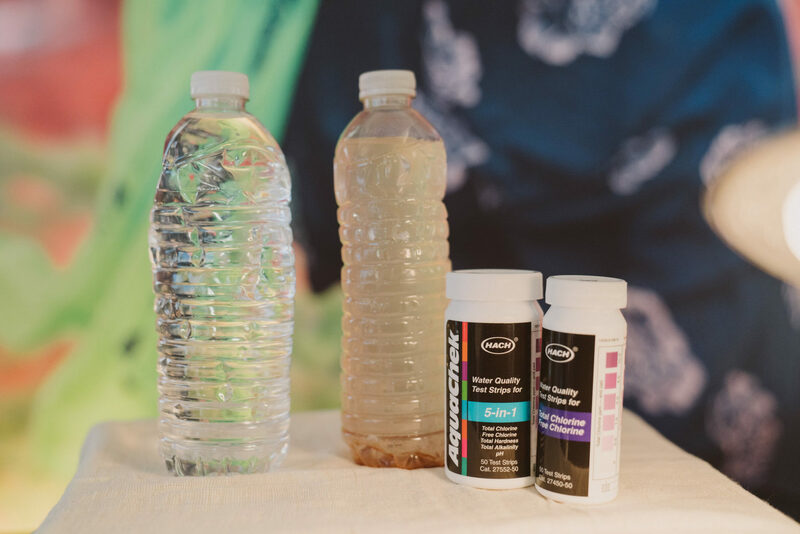 With a step-by-step simplified water testing system, Lifewater is able to test water more frequently and more readily while still adhering to national and international standards for safe water. The results? More people served with quality water, year after year. All results are monitored in real-time from the field. 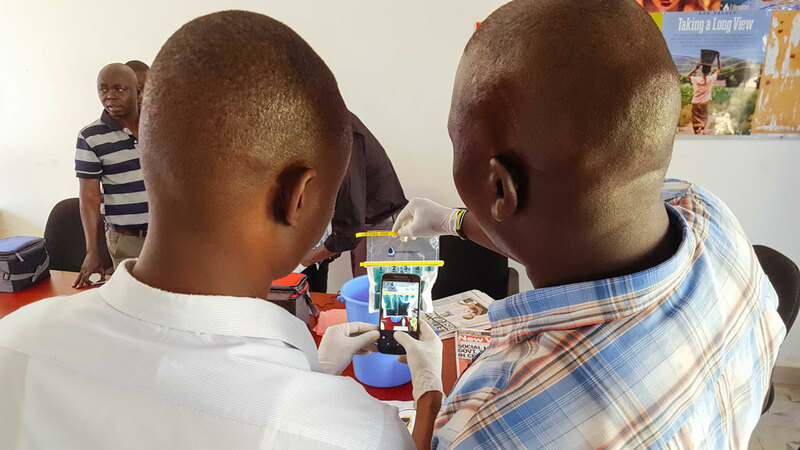 Akvo Caddisfly is a mobile app that our WASH Technicians use to monitor water quality. By taking photos of the test strips on the specialized app, there is much less margin for human error in determining results. That information is then stored in our cloud-based system, giving the organization immediate access to updates on the status of our programs globally. The Kakumiro, Uganda team records data in the Akvo Flow app. Our engineers analyze that data with the technical team and leadership in each country to determine quality and consistency. Prior to water quality testing, Lifewater engineers are taking every precautionary measure—like casing and lining wells and building a concrete apron around the pump to divert surface water—to prevent public health problems from developing. Nevertheless, on-site testing gives villages a confirmation that their children are not at risk for waterborne illness from the local water source, and that Jesus cares about their health. Lifewater WASH Engineer Sarah Young cited water quality testing as a way of affirming the good news of the gospel. Water quality testing also allows our staff to verify that the community is happy with their water. Does it taste right? Smell right? It gives Lifewater the opportunity to have ongoing conversations with communities. Download Lifewater’s Shopping List here.